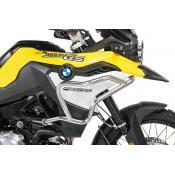 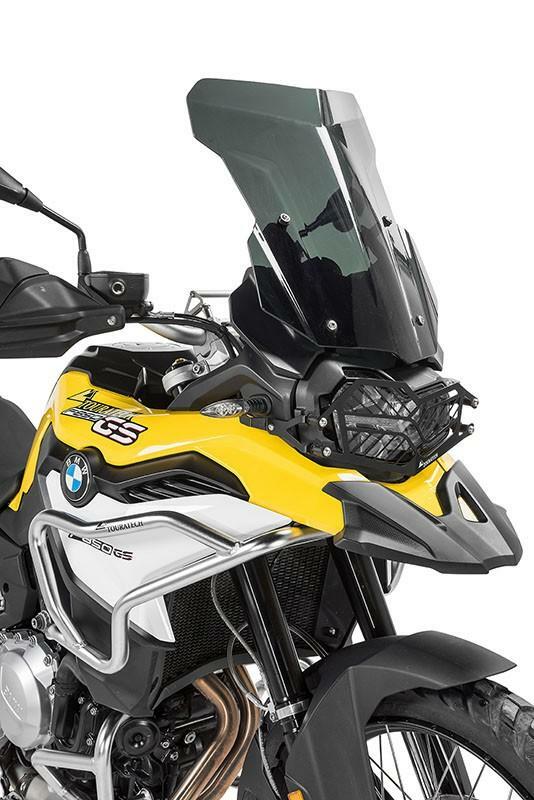 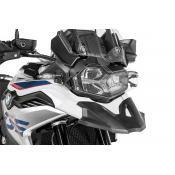 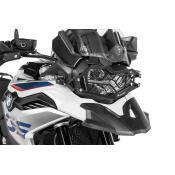 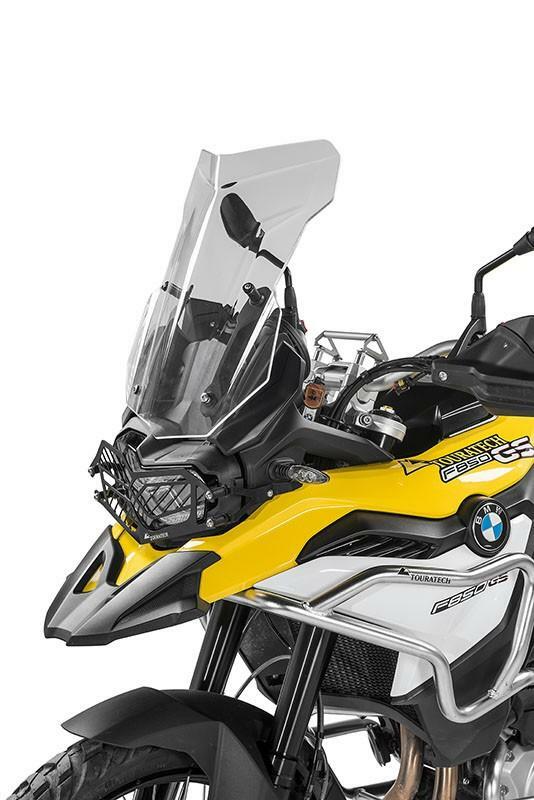 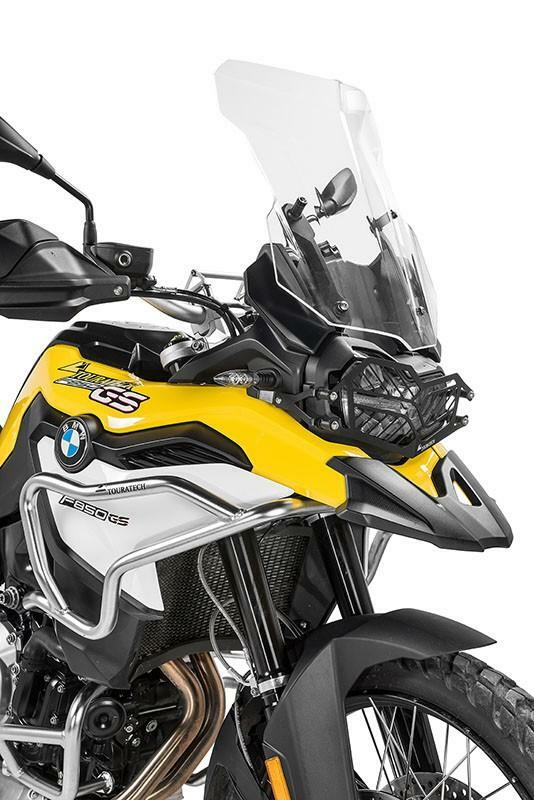 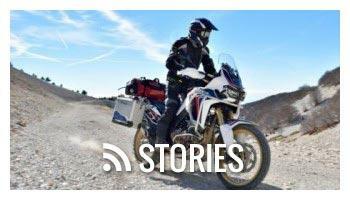 For those of us who prefer a sporty windscreen that provides smooth airflow and effective coverage, these Adventure windscreens from Touratech are perfect on the BMW F850GS. 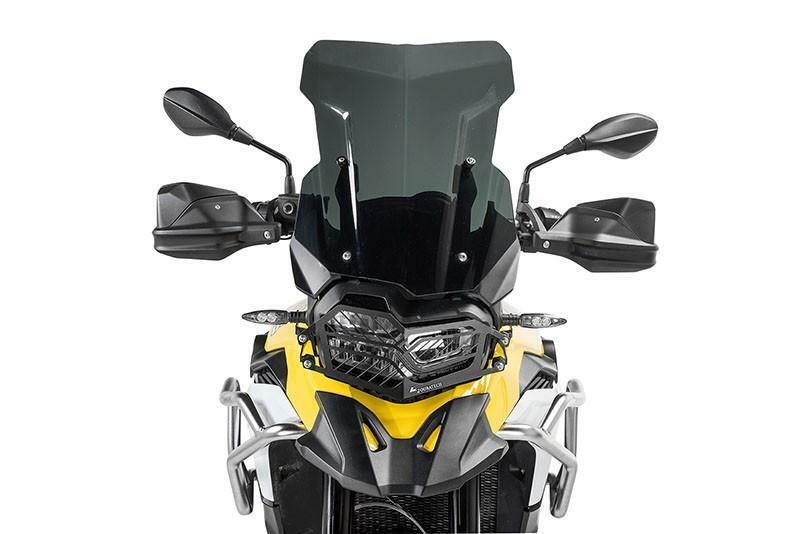 Featuring sharp, agressive angles, and wind-tunnel proven shapes, our patented design provide tons of coverage and smooth airflow while not being too tall. 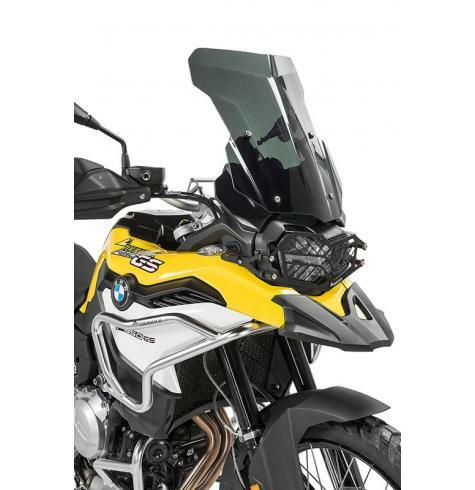 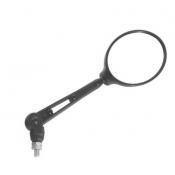 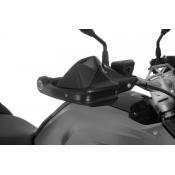 Some manufacturers rely on a larger size rather than better aerodynamics on their screens resulting in a huge "barn-door" style screen that looks out of place on an adventure or dual-sport motorcycle. 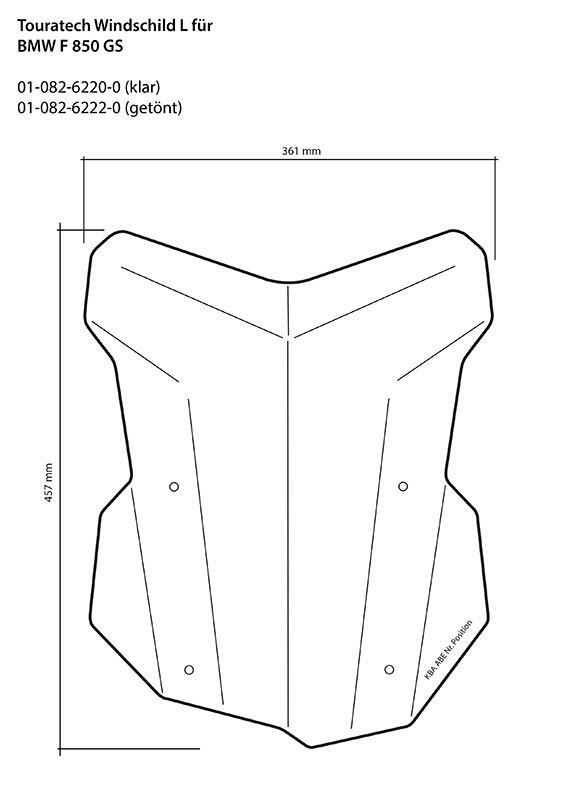 18" Tall by 14.2" wide.